← Kicking the can down the road again. This week our extended family (Salyards and Venable) attended the musical “Book of Mormon” in Chicago’s theatre district. This was the first month of a Chicago run that has already been extended for several months due to a large volume of ticket sales. My son, daughter and I entered the theatre with a unique perspective; all of us were raised as “Jack Mormons” (you’ll have to Google that term). We also have a unique genealogical heritage; all of us are directly related to Joseph Smith, the prophet, founder, and martyr of the Latter Day Saints. The musical is the story of two young Mormon missionaries sent to a small village in Uganda. 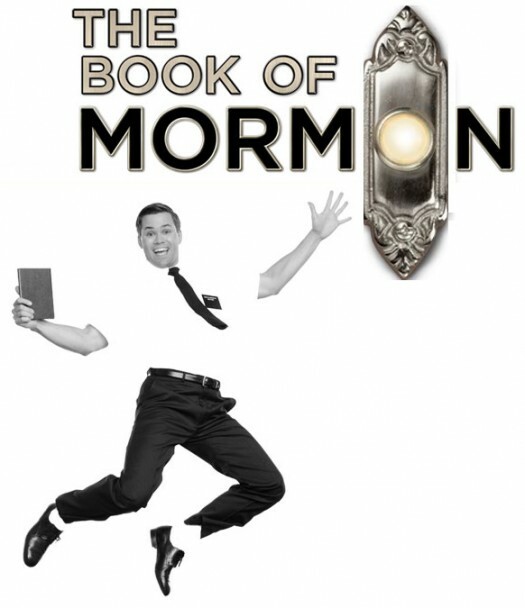 The play is lively and entertaining, with hit songs like “I Believe”, “Baptize Me”, ”Hello”, and “The All American Prophet.” It is also sacrilege if you’re a Mormon, but frankly Mormonism has a lot material if you’re looking for something to satirize. There is liberal use of the “F” word and several male and female body parts. Sitting near me was a well-dressed lady, perhaps 55 years old. I watched her closely during the performance. She was polite, but her expressions revealed that she was appalled by the performance. She never clapped once, but stayed on after intermission, which surprised me. This was undoubtedly a devout Mormon who was either misinformed about the graphic content or who had been sent to preview the play at the behest of her Mormon ladies group. In any case, I don’t think her friends will be lining up for tickets. Irish Writer Brendan Behan once said “There is no thing as bad publicity.” The Mormon Church believes this and in spite of the negative side of the musical, ran three full-page ads in the playbill. Each ad has the face of a different person. One ad says, “You’ve seen the play, now read the book.” Another says “I’ve read the book.” At the bottom of each ad is the website where you can receive your very own copy of the Book of Mormon, courtesy of the Church of Jesus Christ of Latter Day Saints. As I looked at the distressed Mormon lady, I was tempted to go up to her after the performance and say, “Don’t worry, honey, the Mormon Church will baptize many people as a result of this play.” After all, most of the audience learned more about the Mormon Church from this play than they would ever have known without it. I would console my Mormon friends about this musical, except they need none. The musical also portrayed much of the beauty of the Mormon faith and there were times when I felt quite inspired. Mormonism is, after all, the only major religion that originated in America. Mormons settled the West in covered wagons as they brought their people and faith to Utah. When they arrived the lake was full of salt, an auspicious beginning for struggling pioneers. The Mormons were not to be denied. They persevered and never apologized for their beliefs, adding convert after convert. For over 150 years the Mormons have prospered. Some say that the wealth of the Mormon Church is second only to the Catholics. Beyond their material wealth, the Mormons are rich spiritually. They believe that if you ask God in faith, he will give to you liberally. That’s not a bad thing for all of us to believe.